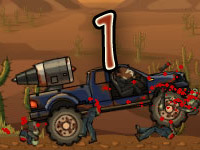 The Uphill Rush Games series is a fun and entertaining single-player flash game developed by Agame. Let me introduce each Uphill Rush game. 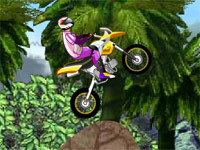 Uphill Rush 1 is a single-player flash game where you must race against the computer on tracks filled with steep hills and other obstacles to the finish line. There are four different tracks you need to complete, and a variety of vehicles you can use. 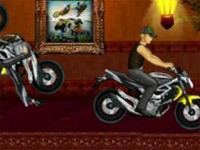 Vehicles include a motorcycle, a skateboard, a quad, and a monster truck. There are 10 cups you need to unlock. In Cups 1 and 2 your racers vehicle is a motorcycle. 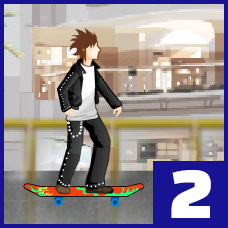 In cups 3 and 4, you are riding a skateboard. Cups 5 and 6 you are driving a quad. Cups 7 and 8 you are behind the wheel of a monster truck. Cups 9 and 10 are designated as the “Special Cups”. Uphill Rush 2 is a game that tests your speed and accuracy. There are eight different cups to complete. You start each level with only four lives. You must guide your vehicle through the tracks toward the finish line without crashing. Your vehicle selection consists of motorcycles, skateboards, and quads. Throughout each level, you can collect coins. Additionally, you can earn coins for completing cups. Use these coins at the end of each level to purchase better vehicles and cool outfits for your racer! Uphill Rush 3 is an action-packed extreme racing flash game filled with new vehicles and maps. Some of the vehicles included in this game may surprise you! Have you ever wanted to ride a cow during a race? Well, now you can! 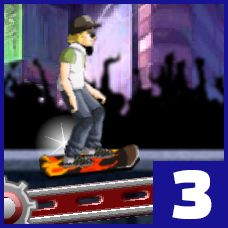 Other cool vehicles you can use in Uphill Rush 3 include motorcycles, horses, skateboards, and in-line skates! 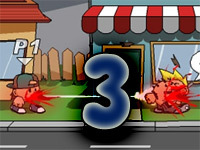 In Uphill Rush 3, you start out with six lives. Try not to crash your vehicle. Otherwise, you lose a life! There are six different maps to complete – each becoming more difficult than the last. 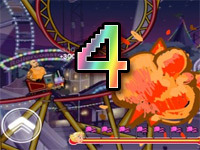 Uphill Rush 4 is similar to the previous versions in this series. You start with six lives per level, and race against the computer to the finish line. Some of the vehicles in this version are new, though! 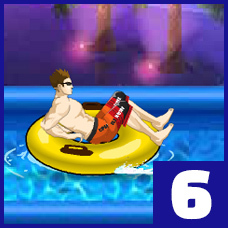 Now, you can ride a water tube, a wind surfboard, a dolphin, as well as select from many different boats to drive! 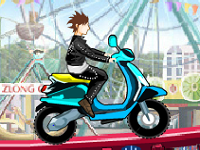 As with the previous versions, you still have the ability to customize your racer’s outfit and change the color of the vehicles. There are six maps in all to play. 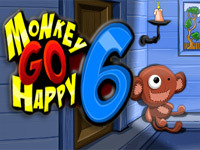 Each map has three difficulty levels – easy, normal and hard. You must complete three rounds in Easy mode in order to be able to move on to Normal mode – and so on. Maps 1, 3, and 5 are designated to the Time Trial versions. Maps 2, 4, and 6 are the Race versions, where you are racing to beat the computer to the finish line! Uphill Rush 5 features the same extreme racing you know and love from the previous version, as well as all the awesome stunts you can perform. This version has six maps – 3 in the Time Trial and 3 in the Race. Time Trial racing is just a race against the clock. The Race maps are where you will race against the computer to the finish line. Throughout each map, as well as at the end of each Cup, you can earn coins! 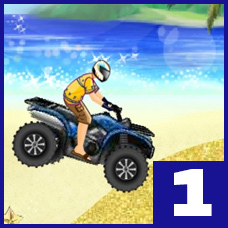 Use those coins in the game shop to purchase better vehicles and change your racers style with a new outfit! There are many vehicles available in the game shop, including boats, water tubes, motorcycles, skateboards, and more! 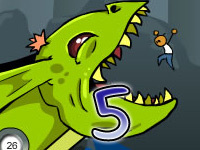 Uphill Rush 6 is an action-packed extreme racing experience! You can race against the clock in the Time Trial mode, or race against the computer in the Race mode. In addition, you can also challenge your friends and compete to show off your skills. 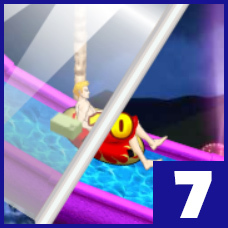 Uphill Rush 6 includes 10 tracks, two bonus rounds, and a “Race Your Friends” event. 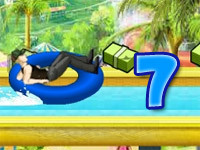 The bonus rounds allow you to unlock additional levels, as well as collect more game money. The “Race Your Friends” event allows you to invite your friends on Facebook to play and compete against you for the Championship title – and bragging rights! Use your earnings to upgrade to better vehicles and purchase stylish new outfits for your racer. Vehicles you can choose include speedboats, sail boats, water tubes, skateboards, bicycles, motorcycles, turtles, and much, much more. Uphill Race 7 is another extreme racing game in the Uphill Race series, featuring new vehicles, new maps, and great new graphics. This version has 4 “Cups”. Each cup contains three maps, with a total of 12 maps in all! You need to complete each map to earn the Bronze, Silver, and Gold Cup awards. Complete each map and collect game money along the way to upgrade your vehicle to something cool, unusual, and fast! Vehicles include skateboards, motorcycles, go-carts, turkeys, and more. One of the newest features included in this version is you can now earn extra lives! You start each level with only five lives. 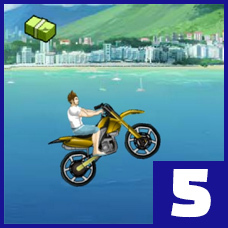 Perform 15 or more stunts throughout the level to receive an extra life. The extra lives, however, do not “roll over” into the next map, so continue to perform those awesome stunts! 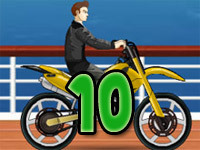 Uphill Rush 10 is packed with amazing graphics, awesome stunts, and cool new features. There are 18 maps and 6 cups to complete. 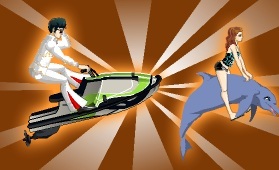 Additionally, there are wild new outfits and cool new vehicles for you to purchase in the game shop. One of the best new features, however, is that now you don’t have to perform many stunts to fill your turbo bar! Instead, you can now purchase turbo in the game shop! In addition to these cool new features, you can also link your game to Facebook, so you can invite and challenge your friends in the Race Cups! 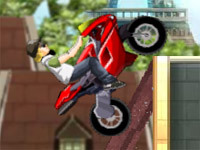 Uphill Rush is a trademark owned by agame.com . This website is not endorsed by or affiliated with agame.com in any way.